Star Wars has been a bit of a slow-burner for me. I remember my dad watching it when I was a child but I never really got into it. Then as part of my GCSE Media Studies course, I had to analyse the opening scenes from 'The Empire Strikes Back' which I found completely boring and just wasn't enthused at all. It took me becoming a parent to finally get enthusiastic about Star Wars and I can definitely say that our family are now all huge Star Wars fans. We LOVED Rogue One last year and it was the film we decided to watch at the cinema together as our Christmas treat. Star Wars is a franchise that the whole family can enjoy and I think that's why I love it so much. I am sorry to be this person, but I used to perceive Star Wars as being just 'for boys' but with the new films now featuring more female action heroes and role models than ever before, the films sit well with me and Heidi definitely loves Star Wars just as much as her brothers. 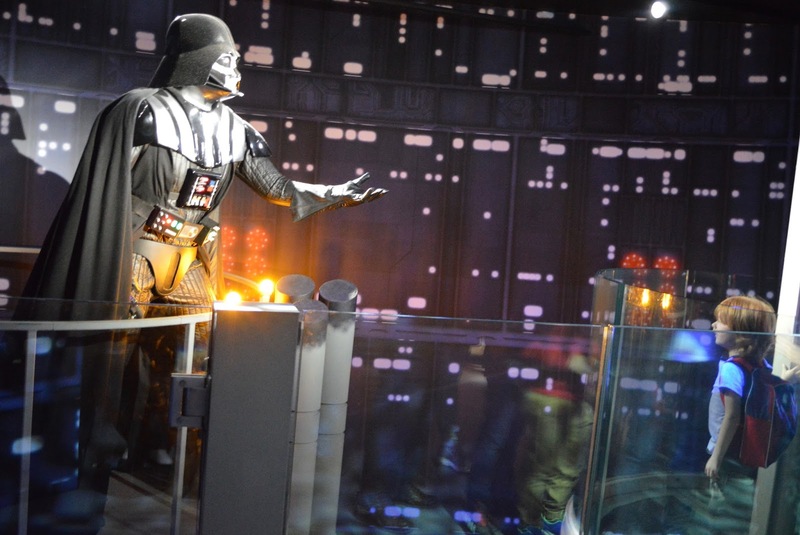 If your family loves Star Wars, I think the Star Wars exhibition at Madame Tussauds is un-missable. 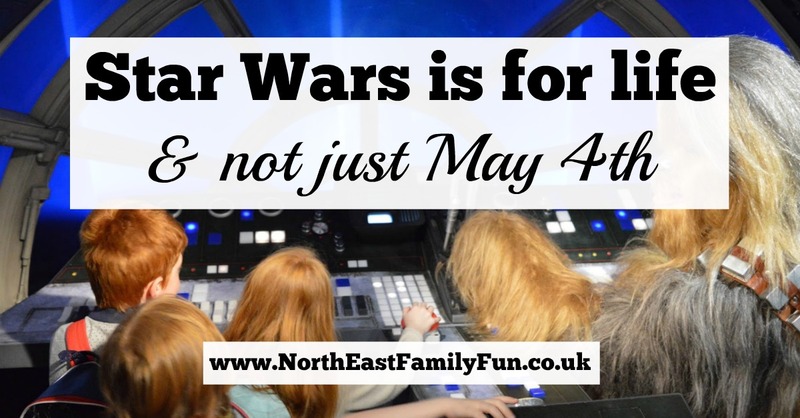 There are so many fun photo opportunities from meeting Yoda to joining in with a light saber battle and even flying the Millennium Falcon with Chewy. Check out our full review of Madame Tussauds London and more photographs here. 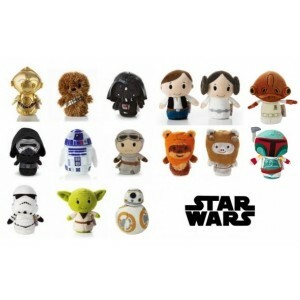 There are 15 Star Wars themed Itty Bitty toys to collect in total and priced from just £5.99 each they make a perfect pocket money toy or reward/treat for kids to collect throughout the year. We are the proud owners of the full set of Star Wars Itty Bitty toys and the kids will play for hours creating their own stories and shooting mini Star Wars movies with their toys. It's hard to pick a favourite but I do have a soft spot for Chewbacca. 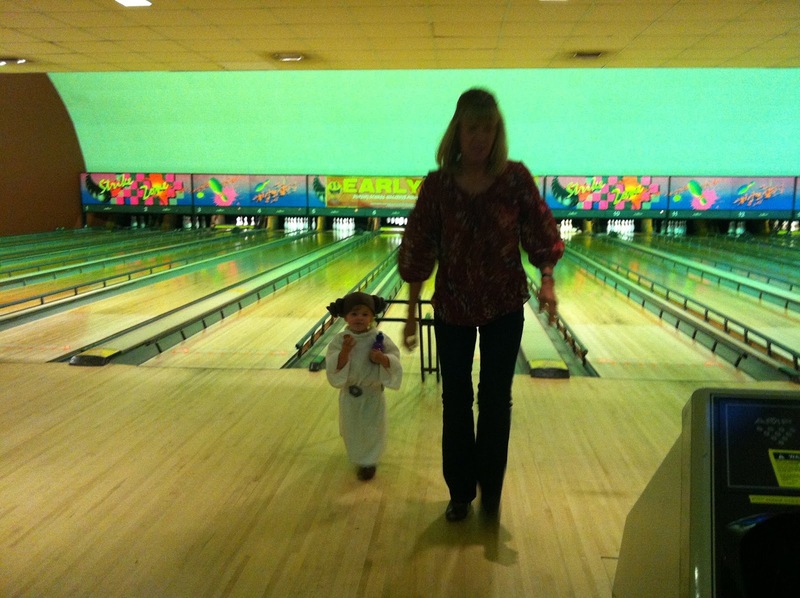 Our dressing up box is brimming with Star Wars outfits and we like to make the most of it by just dressing up for no reason - bowling, a trip to the cinema, a meal out - nowhere is off limits for my mini Yoda, Darth Vader and Princess Leia. The kids love it and we always get a good reaction from others. I don't know about you, but sometimes I can spend what feels like hours in a card shop trying to find a perfect card for someone special. I do like to make an effort but my time is precious so now I have a 'card box' at home which is filled with various cards that I like for different occasions. 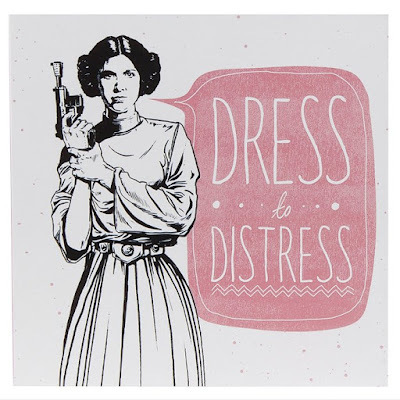 Of course, as we are Star Wars obsessed, a few Star Wars themed cards from Hallmark make an appearance. 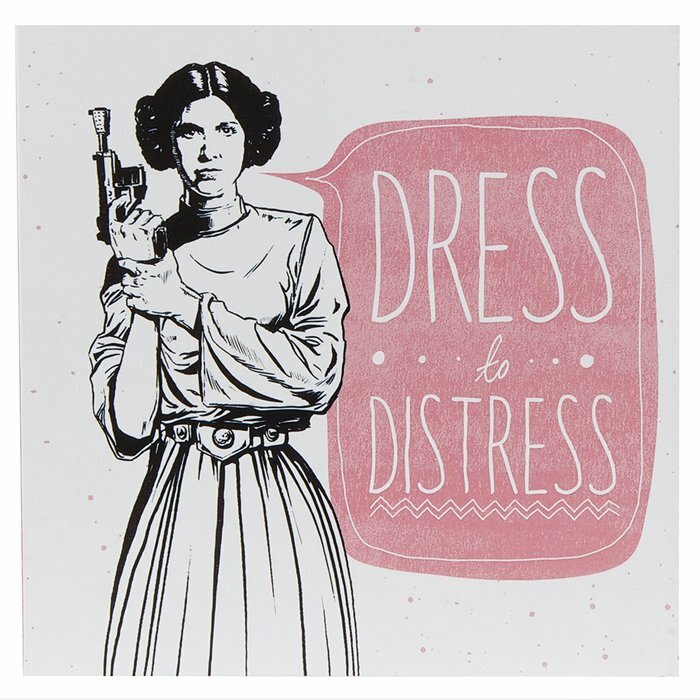 I LOVE this 'Dress to Distress' card and already have a perfect recipient in mind later this year. What do you think? Do your family love Star Wars too? I'd love to hear how you indulge your obsession too. Can I confess I've never seen a Star Wars film before! Been on the ride at Disney though! OMG Cat you need to change this, I especially love the new ones. Have you heard about the new Star Wars hotel at Disney? That may just tempt me there!